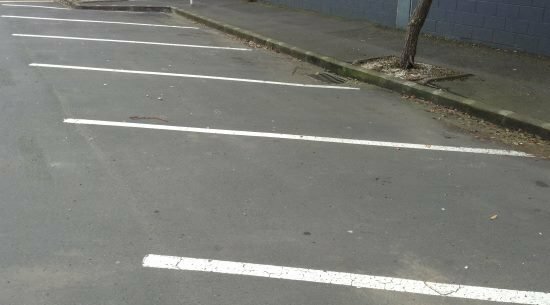 The aim of this lesson is for you to safely park and reverse out of an angle parking space. You’ll need to find a road with marked angle parks. It can help to read our guide on parking first. Move to the front of the parking space and stop. Be careful here for tall kerbs that might damage your front bumper. Check all your mirrors and blind spots for traffic and pedestrians in all directions. If your car has a system such as Rear Cross Traffic Alert, this will warn you if it detects approaching vehicles that you might not be able to see. If your car has a reversing camera, use it as a backup, not as the sole means of visibility while reversing out. Gently and smoothly reverse your car, keeping the speed slow. Turn your wheels to the left to bring the front of the car around, taking care not to hit the car next to you. Stop and check all mirrors and blind spots for hazards. Select a forward gear and drive smoothly away if it’s safe to do so.